Taronga Zoo Sydney has bred more than 40 red pandas, but this is the first time triplets have been born there. The three babies, named Rohan, Ishwar and Mishry, were born on December 7 and have just started to emerge from their nest box. The footage of the red pandas exploring, getting weighed, and receiving cuddles now has more than 11,000 views from visitors. 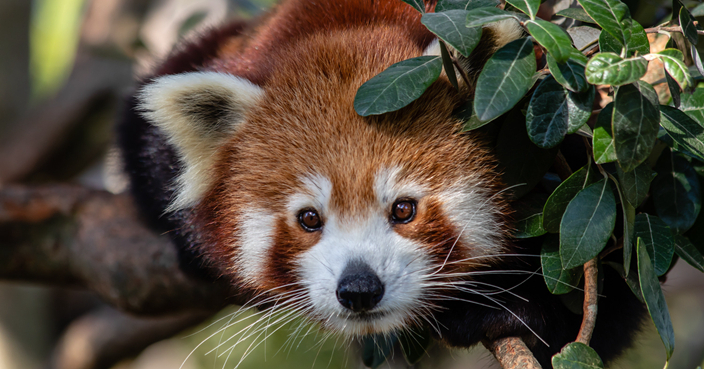 Ben Haynes, carnivore keeper at the zoo, said: “Red pandas are classed as an endangered species, and for that reason we have a breeding programme here at Taronga Zoo to act as an insurance population for their wild counterparts.